DENVER, April 9, 2018	(Newswire.com) - ​Consumers can now purchase dietary supplement capsules containing the highest potency of Ashwagandha available on the market from the manufacturer Physician’s Choice. 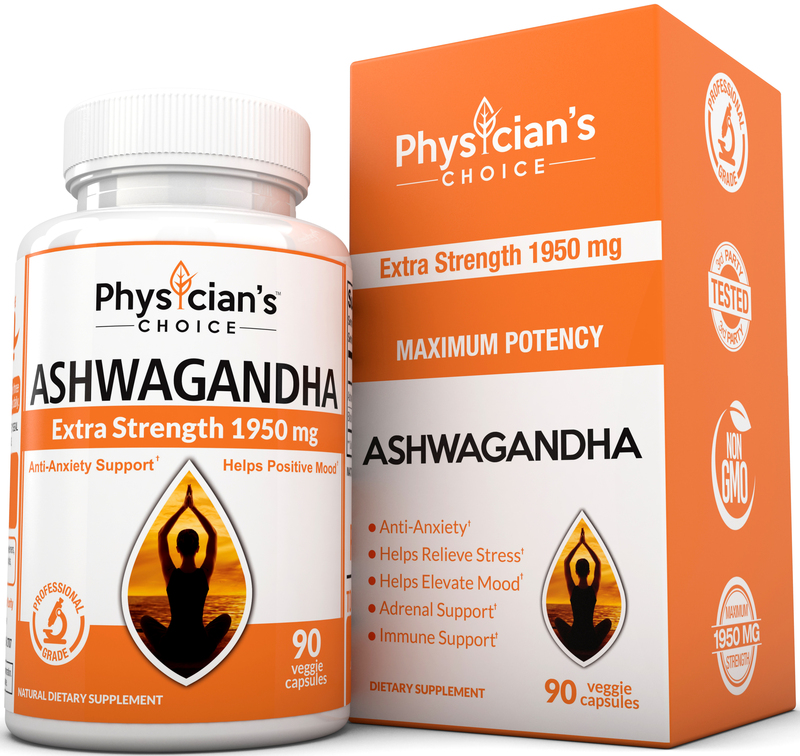 Physician’s Choice Ashwagandha is maximum strength, containing 90 veggie capsules with 1950 milligrams of all-natural organic Ashwagandha in each capsule (the highest potency one can find). This supplement presents an all-natural way to combat stress. What Do Experts Say About Ashwagandha? According to Physician’s Choice, Ashwagandha, also known as Withania somnifera, is a “powerful natural substance used in traditional Ayurvedic healing.” Since ancient times, people have used Ashwagandha for its stress-relieving properties. The herb belongs to the same nightshade botanical family as the tomato. Naturally, Ashwagandha comes in the form of a shrub with oval-shaped leaves and yellow flowers. The shrub bears small red fruit and is native to India, Africa, and the Middle East. For use as a supplement, one can find Ashwagandha as a liquid extract, powder, and capsule. Based on information from the manufacturer’s website, research exists to support Ashwagandha as a potent stress-reliever. Adaptogens are plant-based medicines that may help stabilize the stress reaction that can lead to a fight-or-flight response. Physician’s Choice always uses clinical research and studies to create all-natural, effective, and physician-approved products. Its slogan is, “Where Nature Meets Science.” The company combines Ayurvedic medical research and top-notch physicians to create products that work, with high-quality ingredients, both imported and domestic. The Physician’s Choice manufacturing center is a strict GMP- and FDA-certified facility that is USA-based. Where Can One Purchase Physician’s Choice Ashwagandha Supplements? 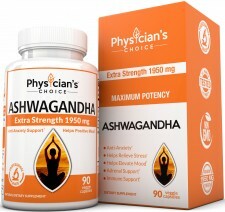 Purchase Physician’s Choice Ashwagandha with Black Pepper from the manufacturer’s website, PhysiciansChoice.com or on Amazon.com. The mission at Physician’s Choice is to create high-quality supplements that actually work, backed by clinical research and real physician input. Physician’s choice collaborates with professional healthcare partners to design and produce safe and efficient supplements, with the goal of helping consumers enhance their health. Consumers know the company best for its high-quality ingredients, safety assurance, manufacturing quality control, and satisfaction guarantees. Physician's Choice Supplements, we are invested in clean manufacturing with the highest quality ingredients. We are focused on delivering raw ingredients, for better absorption, potency, and ultimately overall better health. NatREM is a natural sleep aid with clinically proven and patented ingredients.